How is it already Thanksgiving week? Years past, I&apos;ve counted down the seconds to Thanksgiving, but this year I blinked and all of a sudden, it was here! After a weekend in L.A. with three Friendsgivings, I&apos;m driving to San Diego tomorrow morning with my boyfriend to spend the holiday with his family. Looking forward to a long weekend filled with many hikes (taking a cue from REI and going to #optoutside for Black Friday! ), delicious meals, and some much-needed downtime! Have a happy Thanksgiving! If you aren&apos;t already signed up for a Turkey Trot this year, there are plenty of ways to give back in between shopping for deals this week. My boyfriend&apos;s family "adopts" a family every year through the Jewish Family Service "Embrace-A-Family" organization, and provides them with presents on their wish list—we were recently paired with a 91-year-old holocaust survivor who simply requested "nice soaps and a nightgown." It&apos;s such a simple way to give back and truly make a difference in someone&apos;s life! Other ways to help include anonymously paying for someone&apos;s presents on layaway at Toys R Us or Walmart, adopting a family through the Salvation Army or a child through the Department of Public and Social Services, or donating via Toys for Tots. 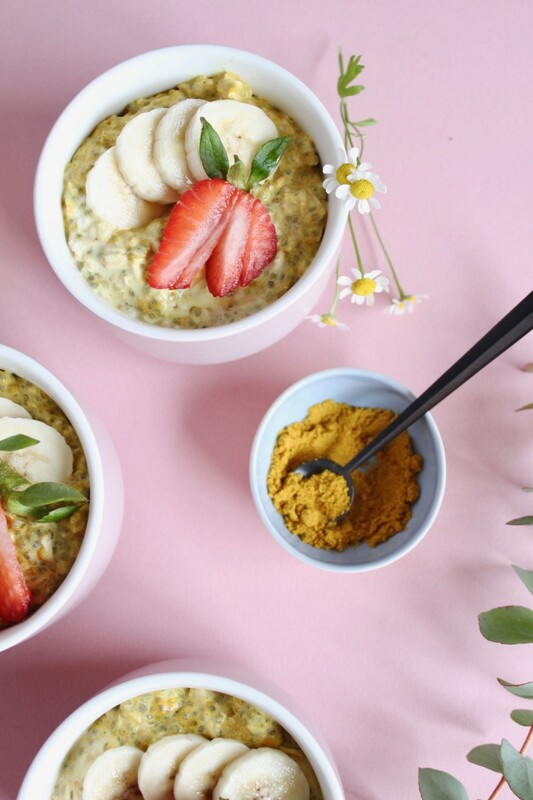 2 tsp turmeric powder or "Golden Fuel"
Add all dry ingredients (oats, chia seeds, turmeric powder) in a sealable glass jar and stir to combine. Pour milk into jar and stir until turmeric is fully dissolved and all ingredients are well mixed. Add yogurt and stir to combine. Close jar and leave in fridge overnight for an easy grab-n-go breakfast! Top with any seeds, nuts, or fruits you desire. Last week, I came home to a bag of books from my friend, and it felt like Christmas morning. Included in the bag was Why We Sleep: The New Science of Sleep and Dreams by Matthew Walker. As a lifelong insomniac, I&apos;d been nervous to dive into it, but finally picked it up this weekend (when—you guessed it—I couldn&apos;t sleep). 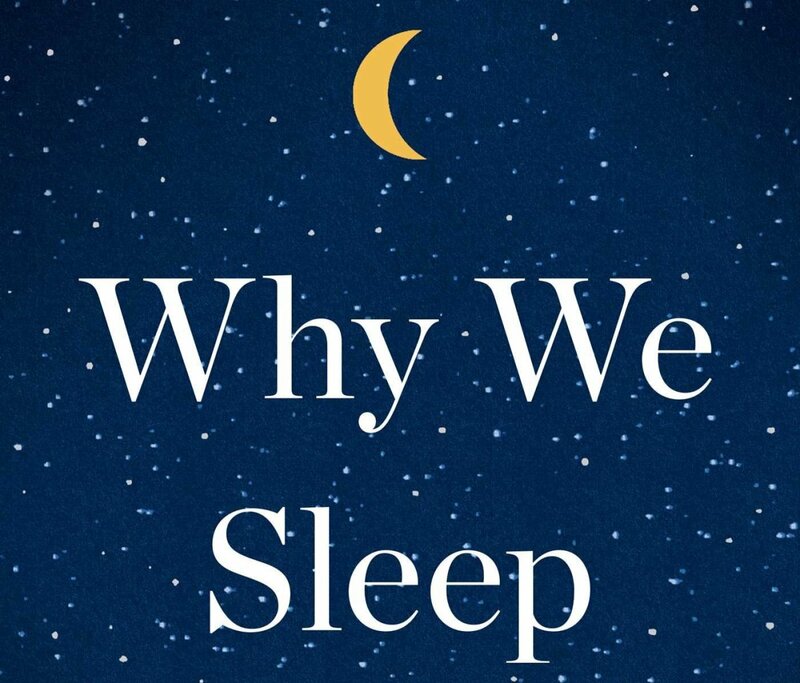 Written by the director of Director of UC Berkeley’s Sleep and Neuroimaging Lab, the book is similar to Ariana Huffington&apos;s The Sleep Revolution from a scientists point of view, as it addresses the "silent sleep loss epidemic." The thesis is obvious—we all need to start making sleep a priority—and the argument it makes is a strong one, with tips for "how" that reshaped some of my own habits when it comes to getting rest. Read an excerpt from the book here. Landline, Gillian Robespierre’s followup to her comedy Obvious Child (which I also highly recommend and not only because it&apos;s named after the second-best Paul Simon song), pulls from the same all-too-relatable humor, and also stars Jenny Slate. 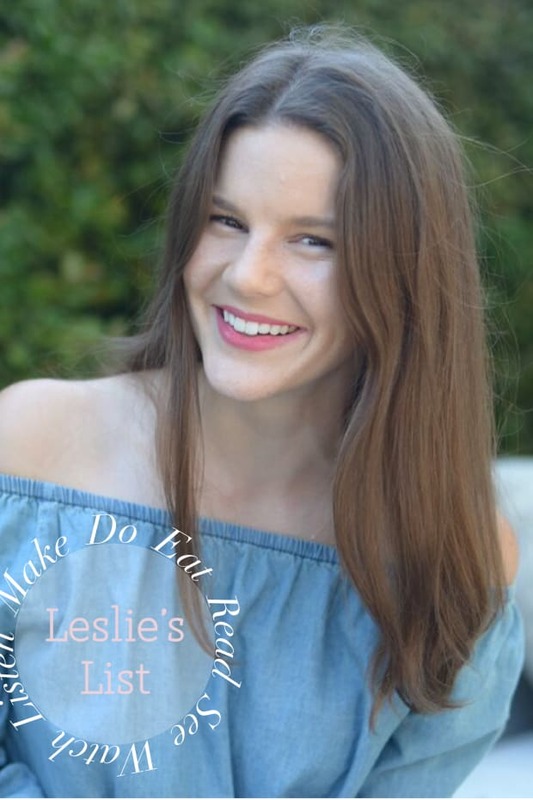 In it, two sisters are navigating their twenties and overbearing parents when they find evidence that their dad has been cheating on their mom. It&apos;s a heartwarming movie that&apos;s perfect for watching when you need to escape your own family this week. Anyone else heading on a road trip to get to their Thanksgiving destination? Aside from catching up on all the basics—This American Life, Radiolab, Pod Save America—I&apos;ll be binge-listening to "Stuff Mom Never Told You." Recommended to me by a girlfriend, hosts Emilie Aries and Bridget Todd talk about the challenges that face women everyday, from "pocket inequality" to common gender stereotypes. Whether you&apos;re listening to it with your family or S.O., it&apos;ll be a conversation starter at the least! Since I&apos;m "skipping" Christmas this year in favor of going on a week-long camping trip up the coast, I&apos;m going to be missing out on some of the classic celebrations—having a tree, wrapping presents while drinking too much eggnog with my mom, watching It&apos;s a Wonderful Life, but I love the idea of still counting down. 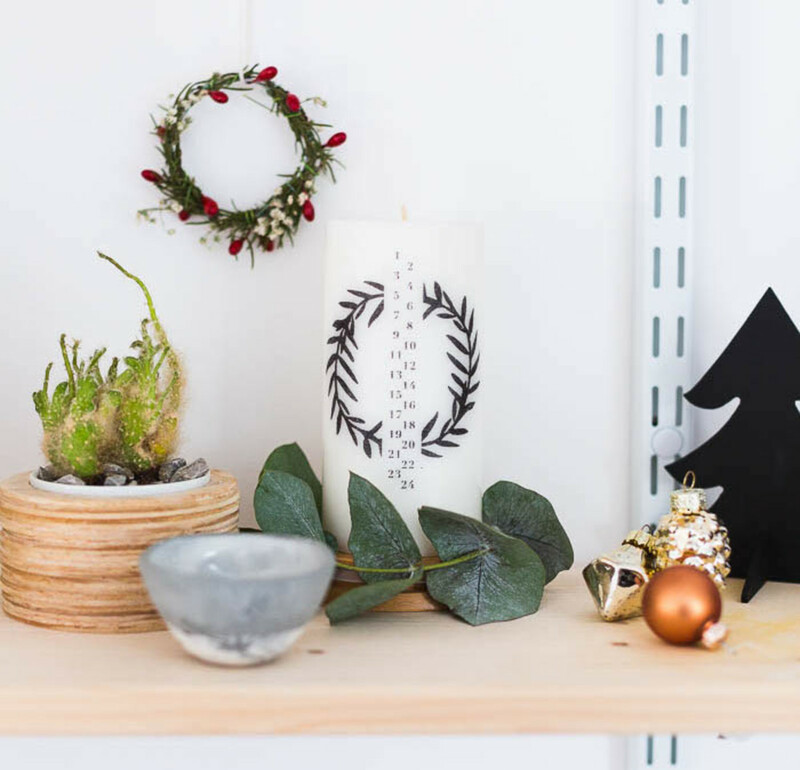 This candle is such a cute variation on a classic advent calendar. What it lacks in milk chocolates, it makes up for in a simple, cute design that will make counting down to Christmas—or camping!—that much more enjoyable. Instructions on how to make it here.